Southern California is an absolutely wonderful place for hikers and national park enthusiasts. There are deserts, beaches, mountains, and cities with attractions that I think any nature lover will enjoy. If you are like me, and love getting as much out of your vacation time as possible, this intense itinerary for a Southern California road trip is for you. (1) Set up your trip to the Channel Islands with Island Packers in advance, and buy necessary permits from the National Park Service. (2) If camping, be sure to have all of your permits squared away. (3) Reserve your hotels/hostels/etc. and your rental car. If possible, rent an off-road vehicle. (4) Bring all necessary safety equipment and hiking gear. Make sure a friend and/or family member has a detailed itinerary including the trails that you are planning on hiking. Los Angeles is a great starting place for this Southern California road trip, because it is the definitive capital of life in Southern California. 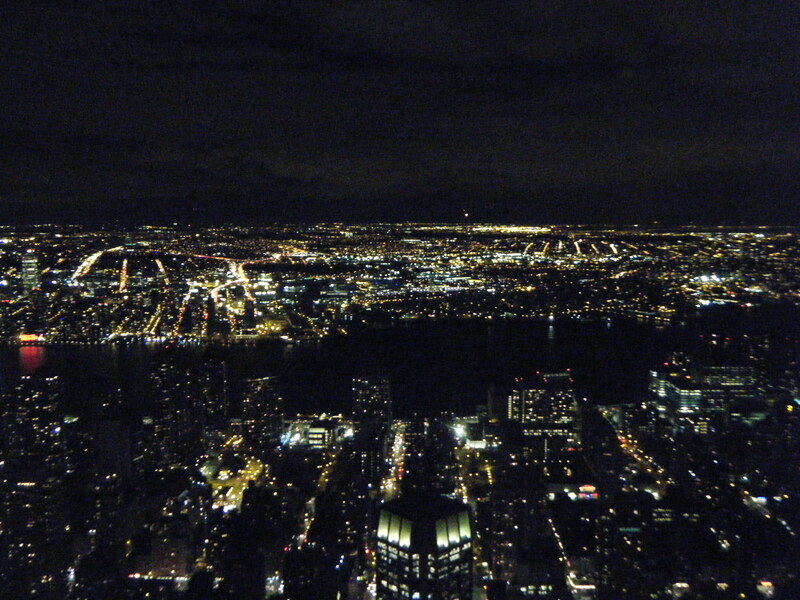 There are tons of flights into the city and some of them are a great deal. That being said, there are some things about Los Angeles that make it a little difficult as well. LAX is a massive airport and can have issues with delays and construction, and the city itself is a warren of highways and crowded streets. I would suggest doing your best to time any drives through the city around traffic hour because it can literally take 2-3 hours to get across the city without lots of traffic jams. Mt. Baldy is the tallest mountain in the San Gabriel Mountains that hem in the city from the east, and the trail to the summit is no joke. With about 3,900 feet of elevation gain and 11.3 miles from start to finish, the trek up this mountain is a challenge for all but the most seasoned of hikers. If hiking is something you enjoy, however, and you don’t mind the challenge, I highly recommend this hike. It took me about half a day to complete it, and to this day is probably one of the more difficult summits that I have completed. The trail itself is really beautiful, and has some unique sections. The Devil’s Backbone was one of my favorites, where you follow the ridge of the mountain with major drop-offs on either side of you. There are also stretches of forest with tiny waterfalls, and of course the view from the top of the mountain may be one of the most amazing for this Southern California road trip. If hiking isn’t your thing, not to worry, there is a ski lift that you can take up to the lodge part of the way up the mountain during the weekends. You can also enjoy the trails lower down on the mountain for nice day excursions. If you’d like to go for the summit, however, park just past the Mather Flats Campground and hike towards San Antonio Falls. Just past the falls, you will find yourself at a fork in the trail. The trail to the right will take a more gradual (but long) route up the mountain to the ski hunt, and the other trail is a steeper, more direct route to the top. I would personally suggest taking the steeper route up, which I think will allow you to appreciate Devil’s Backbone and Baldy Bowl more, and you won’t destroy your legs with a steep downhill. For more detailed information on this hike, see Hikespeak’s post, which I used to plan my own trip. Note that you will need to purchase a pass for the national forest, and these can be picked up at the nearby gas stations on the road into the mountains. STAY: Los Angeles Area, potentially near the Santa Monica Mountains if you’d like to avoid driving more the next day. The Santa Monica Mountains are partially managed by the National Park service, and they offer some really varied hiking as well as ocean views. I would suggest warming up in the morning in the foothills so that you can experience some of the rolling grasslands that are so characteristic of coastal southern California, then moving onto a visitor center to grab a park stamp and speak with the rangers. From there, I did the Solstice Canyon trail, which is pretty gradual and relaxing, and has the perfect picnic area for lunch. For hikers, my next stop would be Sandstone peak, the high point in the Santa Monica Mountains, where you can get some amazing views of not only the city and the ocean, but the backbones of the mountain range itself. In case you don’t want to do more hiking that day, you can also head out from Solstice Canyon and spend the day exploring Malibu and enjoying the beach. Hiking in Santa Monica is free in National Park lands. For more information on the Santa Monica Mountains see our guide to the best hikes in the park. Note that the Woolsey Fire damaged this area in 2018, so I would suggest checking with the park website and/or rangers to get the latest information on what’s open at the time that you visit. There are an endless number of trips that you could plan for the Channel Islands, and I would suggest looking through our guide to help you decide. If you only have a day to spare on your Southern California road trip, I would suggest taking a day trip to Anacapa or Santa Cruz. But if you have more time, consider camping on Santa Cruz or Santa Rosa where you can explore the unique landscape of the islands more thoroughly on the trails and sea (if you like kayaking/snorkeling). If water-based activities are more your thing, Anacapa can also be a great place to camp, because there is a ton of kayaking and out-of-this-world kelp beds there. Whatever you decide to do, make sure that you have reservations with Island Packers before you leave for your trip, because without that, you won’t have access to the islands. If you are camping, you will also need a reservation with the park service. Prices will vary with the location that you choose and the length of the trip you decide to devote to these beautiful islands. It’s about a 4-hour drive from Ventura to Sequoia, so get an early start. Once you reach the foothills, consider enjoying a picnic near Lake Kaweah or grabbing food in one of the small cafés in the Three Rivers Area. Then work your way up into the mountains through Sequoia. Of course, the stars of this park are the redwoods, which you will start to see in the higher reaches of the mountains. On the way up, stop by Hospital Rock, the Crystal Cave (summer only), and the Giant Forest Museum. But of course, make sure that you leave plenty of time for the redwood forest. The General Sherman Tree is a must-see and there are lots of lovely trails among the giants to explore. On day two, continue exploring the forest landscape in Kings Canyon (if you go during the summer). Enjoy the beautiful views of the canyon, and enjoy some mild hiking (unless you still have tons of energy). Note that the road through this park is closed during the winter. The $35.00 vehicle pass covers both parks and lasts for 1-7 days. There are lots of road closures in both parks during the winter as well as strict rules about chains and four-wheel drive when there is snow. You can rent chains in the Three Rivers area on your way up if you need to, just keep your eyes open while passing through the small towns. STAY: If you can, I would highly suggest trying to get a room in one of the lodges in the parks. If that isn’t possible, stay in one of the small towns in the mountains. It is about 5.5 hours from Sequoia National Park and Death Valley National Park, so I would plan a quiet day driving to some of the main spots in the park. Mesquite Flat Dunes, the Badwater Salt Flats, Artist’s Palette, and consider Dante’s View for sunset are some of the main things that you could consider checking out to get your lay of the park. On day two in Death Valley I would pull my hiking boots back on. We have a detailed list of my favorite hikes in the park, but there are so many trails in Death Valley. There really is something for everyone. In order to see the most while you are there, I would suggest a mix of short trails and more moderate length trails and a nice mix of the different aspects of this unique desert landscape. If you want to do a major summit hike, Death Valley also has options like Wildrose Peak (8 miles) and Telescope Peak (14 miles). The park entrance fee is $30 per vehicle for 7 days. STAY: There aren’t a lot of places to stay near the park, so if you can afford it, I would try to stay in Furnace Creek. Mojave National Preserve is one of the lesser known spots on this epic Southern California road trip, but this desert is full of unique landscapes and hikes. It is a great place for hikers and nature lovers to escape the crowds and see a place that mixes some of the best aspects of Death Valley and Joshua Tree. We have a detailed description of hikes in this National Park unit here, but I would highly suggest the Teutonia Peak and Hole-In-The-Wall trails. These aren’t too hard but offer some amazing views of the park, as well as some very fun trail experiences. There is also a historic landmark in the park, the Kelso Depot, and access to Mitchell Caverns State Park ($10 entrance fee and $10 for a cave tour- get reservations ahead of time here). The Mojave National Preserve has no entrance fee. It is about 2 hours from Death Valley National Park to Baker, CA just outside of Mojave; it is then 1.5 hours from Kelso to Twentynine Palms. Joshua Tree National Park has become extremely well known in the past couple years for its climbing, fascinating rock structures, and its chill vibe. For hikers, and road trippers, this national park has a huge variety of stops and trails. Hidden Valley is my personal favorite spot in the park and is suitable for people of all hiking abilities. Ryan Mountain offers a more difficult trek, although it is relatively short, and for those looking for a big summit challenge, consider the Pinto Summit (details here). Other spots to see in the park include Keys Views and Cottonwood Spring, although if you have time I would give all of the big points in the park a stop. For more details. By this point, I would be pretty tuckered out, so the next few days will give you time to rest and ready yourself for the journey home at the end of your Southern California road trip. First stop for this rejuvenation is Palm Springs. This small city is known for its mid-century modernist architecture, adorable downtown stretch, and characteristic palm springs. If you are interested in seeing some of the architecture, look here for details. If you still have the energy to hike, this guide will give you the details about hikes to some of the desert oases that this city is named for. I would highly recommend the Palm Springs Aerial Tramway for any kind of traveler. It is about $26 dollars to ride, and the views from the tram and top of the mountain are absolutely beautiful. There are also hikes and nice walks at the top so you could make this into a whole day if you wanted, or a half day trip. After all your hiking and exploring, it is time for the last day of the Southern California road trip before you head home. If you are a Disney fan, treat yourself to a day in Disneyland/California Adventure. If you want to get a taste of Los Angeles before you leave, I would suggest visiting the Griffith Observatory, which is free, and Little Tokyo in the downtown area. The Observatory has some more hiking, if you are a real champ, but there is plenty to see there even without a trek. There is a small museum in the observatory which is free (although you will need to pay for parking), and this is a great place to take pictures of the Hollywood sign and the city. Little Tokyo is also free to visit, but you will need to pay for parking. There is TONS of Japanese food in this area as well as great shopping. I usually spend 3-5 hours here shopping, eating and visiting the Japanese American National Museum ($12). We hiked 3.9 miles in Natural Bridges National Monument. I really wanted to hike the loop that went through the canyon here, but we didn’t have time. We settled for hiking down to each of the bridges instead. We also had to convince a ranger that we didn’t have anything against National Monuments, and we forgot the name of our hotel for the night since I left our itinerary at home. It snowed over night, and while we were trying to drive up to the Moab area. Due to the weather, we skipped out on seeing the Needles sector of Canyonlands, and went up to Island in the Sky instead. It was windy and cold as heck, but we still managed to hike to the second overlook of Upheaval Dome, Whale Rock, Aztec Butte, Grand View, and Mesa Arch (7.3 miles). We dressed really warmly so that we could stay out in the weather, and people kept commenting on how prepared we were. When we got back into town, we met someone who had flipped their car in the storm that we had driven through. It was a sobering moment. Fearing crowds, we got into Arches early and hiked to Delicate Arch first thing. Luckily, the weather was much nicer this day. Nice enough that we actually managed to take our jackets off (unlike the day before), and enjoy our picnic lunch without freezing. After seeing the arch that is on most Utah license plates, we checked out many other arches, and managed to hike another 7.4 miles. Capitol Reef was probably the least developed park of the five, but we started the day off by visiting another arch. I wasn’t expecting to be super excited about it, after Arches, but it was actually really cool. We also climbed up to a view point of historic Fruita, where Fremont Native Americans and then Mormon farmers lived, and walked through Capitol Gorge (6.5 miles hiked this day). This park felt a little disorganized, but it was nice to escape the crowds, and I loved the variation. Bryce Canyon was… mindblowing. I had no idea that Thunder Mountain in Disneyland was based on a real place, but here it is! Hoodoos every where, and even though we had to slip down ice, and slog through mud, the hiking here was wonderful. We visited Tower Bridge (another arch, go figure), and then wandered through the Queen’s Garden (where the trail winds through the hoodoos) and by the end that day we had hiked 6.4 miles. It was beautiful, and blessedly not all that crowded. Our last day was a mix of proud and disappointing moments. We wanted to hike Angel’s Landing, but the ranger at the gate freaked us out about parking, and there were only nasty port-a-potties at the visitor center. So, the start to the day was awkward. But we did find parking, and we powered up the steep incline of Angel’s Landing to the saddle before the part of the trail that crosses the spine of the mountain. I was scared, there were cliffs on either side, but it was worth it! I was so proud of us for making if up the cliffside and facing our fears, and we finished the trail in nearly half the time that the park signs thought we would. After lunch, we also made it out to Emerald Pools. But that was it for us and Zion, because it was so busy. There was no parking and it definitely turned us off a little bit. 7 miles hiked! While I enjoyed having the opportunity to visit New York City, and I cherished spending time there with my brother, I was actually pretty underwhelmed by the place. First, as I hope that my blog illustrates, I am primarily interested in traveling to experience the natural world. Of course, big cities are great destinations as well, but for me, there has to be a balance between culture/historical attractions and the relative artificial nature of the city. I really love Chicago and DC, but New York didn’t strike up the same balance of elements for me, it just felt like miles and miles of unadulterated urban landscape. There wasn’t enough open sky, and it seemed like even the animals I am used to seeing around humans were scarce. Not only that, but I found the people to be surprisingly rude. That being said, I loved the fact that there was interesting and delicious food to be had around every corner. I had some yummy sushi, Mediterranean food, French fare, and of course, tons of wonderful American classics like hamburgers and pizza. Traveling without a car was also amazingly easy, and once you get a handle on the subway system, it really opens up the city for exploration. 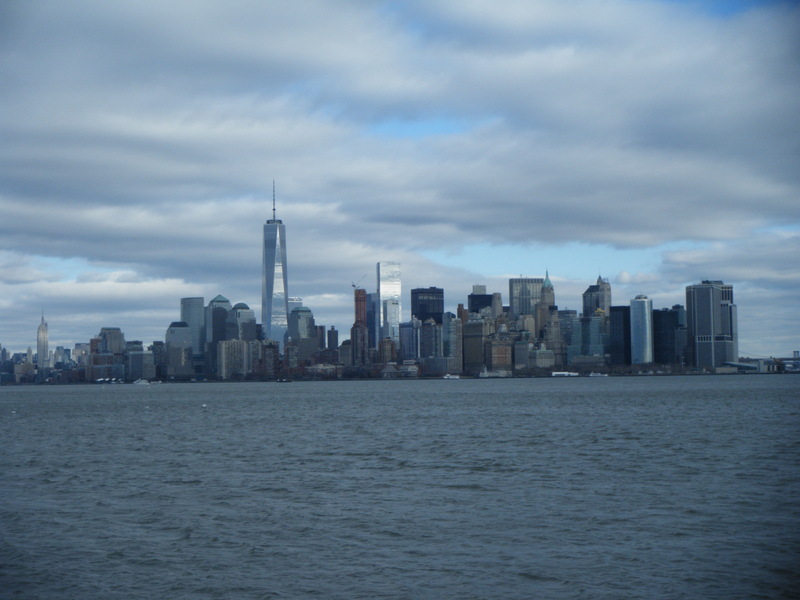 It goes without saying that there are also tons of cultural and historic attractions that I really enjoyed checking out, and due to the short nature of my trip, my brother and I opted to get the New York Citypass to help us structure our time. This includes tickets to the Empire State Building, American Museum of Natural History, the Metropolitan Museum of Art, the Museum of Modern Art, Top of the Rock or Guggenheim Museum, and the Statue of Liberty or a Cruise Line Cruise. I have used the Citypass before in Chicago, and I didn’t regret getting it again in New York, although I wasn’t too interested in a couple of the attractions. 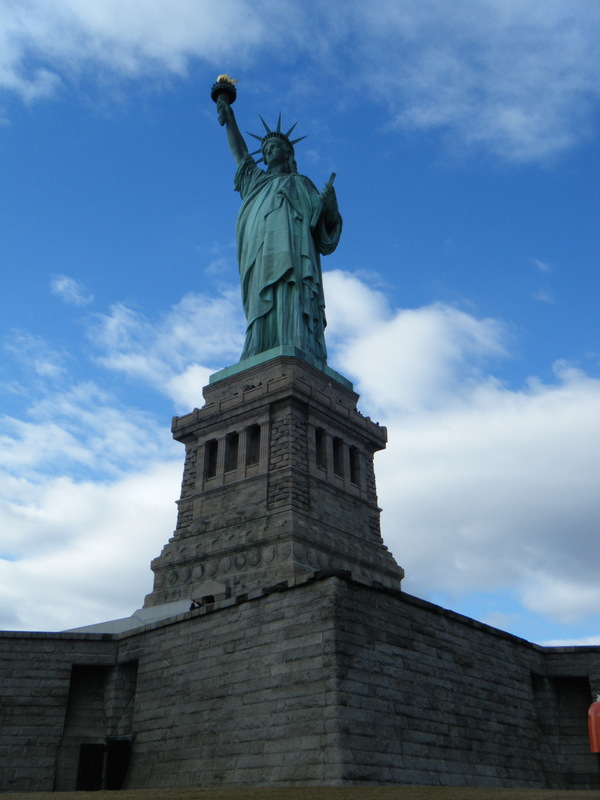 I have heard some bad things about the lines when visiting the Statue of Liberty, but I am a MAJOR national park buff, and I really couldn’t miss the opportunity to see this landmark for myself. Luckily, the harsh winter cold seemed to keep a lot of the crowds away when I was there. It was surreal to see this iconic statue in the flesh, and while I wasn’t able to go up into the statue as the tickets were sold out, seeing it from the ground was not at all disappointing, even in the biting cold. Ellis Island, which was the second half of my Statue of Liberty visit, was also a pretty surreal experience. It is hard to imagine what people went through there, including my own family, and exploring its halls made me feel an experiential connection to my ancestors. Besides exploring the museum, I also spent the extra money to use Ellis Island’s resources to do some family research, and ended up taking home my one and only souvenir from their print shop. To cap off our New York City national park experience, I also stopped by Theodore Roosevelt’s Birthplace, where I caught a free tour of the house. The tour was a little on the long side, but I think anyone interested in American history or Theodore would have enjoyed seeing the house and hearing the stories of the Roosevelt family- I certainly did. In terms of museums, the Met was my favorite, which was somewhat surprising. While I am fairly artistic, I tend to find art museums boring. The Met was unlike any art museum that I have been to, however. Along with the paintings and sculptures that I have come to expect in similar places there were artifacts from all over the world, and large sections of the museum were highly immersive. I particularly enjoyed the recreation of French and English rooms, and the Egyptian section. The American Museum of Natural History was also pretty enjoyable, but was much more traditional than the natural history museum in Chicago. There weren’t as many immersive aspects to the museum as the Met or the Field Museum, and I was reminded of Tucson’s International Wildlife Museum, which features hundreds of taxidermied animals from all over the world. Finally, I was not impressed by the Museum of Modern Art. First, the entrance to the museum was hard to find, as was the line to have our tickets checked. By the time that we got to the point that we were going to enter the museum with our tickets, we were then told that we couldn’t have our bags and would have to check them. This turned out to be a major inconvenience, as the bag check area was just as disorganized as the rest of the museum. The art on display was interesting, but I was turned off by the hassle of getting in, and I can’t say that I am particularly fond of the weirdness exhibited by modern art. Finally, while I am not a big theater connoisseur, a show or two is not something to be missed in New York, and in retrospect I would have liked to have seen at least one more show while in the city. I did go to Radio City to see the Rockette’s Christmas Spectacular, and it was a great experience. Radio City was a beautiful theater, and the show was the first time since I was little that I have really enjoyed hearing Christmas songs. My next update will be on January 15th, and I am actually not sure where I will write about next. Going to the Tonto National Monument is an all-day trip from Phoenix, especially if you want to take the most scenic road to Roosevelt Lake. 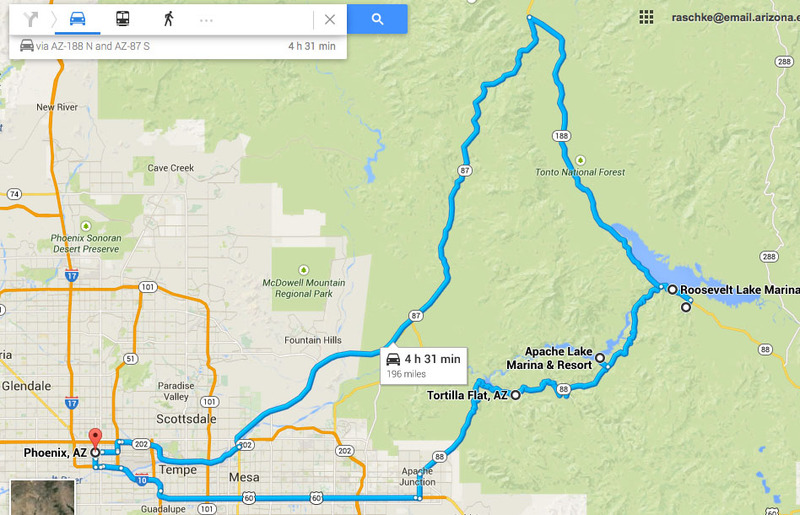 Google claimed that the drive was about 2 hours long on Apache Trail (88), but the drive down the twisting, dirt roads is more realistically between two and three hours long. It takes longer if you stop along the way, of course, and taking your time is a good idea on Apache Trail for both safety and your enjoyment. Just before the Apache Trail turns into a dirt road, you will see three small buildings near the edge of Fish Creek. The buildings are somewhat ramshackle, and their boxy architecture and wooden walls is purposefully reminiscent of a small historic Western town. This is Tortilla Flats; and it is one of my personal favorite places to stop whenever I am on the 88. There isn’t much here- a small restaurant, a gift shop, and a country store. The restaurant has a great atmosphere that fits the area to a T. The walls are coated in layers of signed dollar bills, most from the US, but I always like to peek around for money from all over the world. The bar is also lined with horse saddle stools, and the bathrooms are surprisingly humorous but I won’t spoil why. The food here is good, mostly sporting American classics. As much as I enjoy stopping by the restaurant here, however, I mostly come to Tortilla Flats for its delicious prickly pear ice cream, which I like to eat next to the (sometimes) gurgling stream that runs right by the area. Past Tortilla Flats the dirt road begins, and while this area is breathtakingly beautiful, anyone who wants to drive this road needs to take their time, and keep their eyes on the road. There are cliffs along long stretches of the road, and at times the road narrows until vehicles will need to stop and pull over in order to let each other pass. 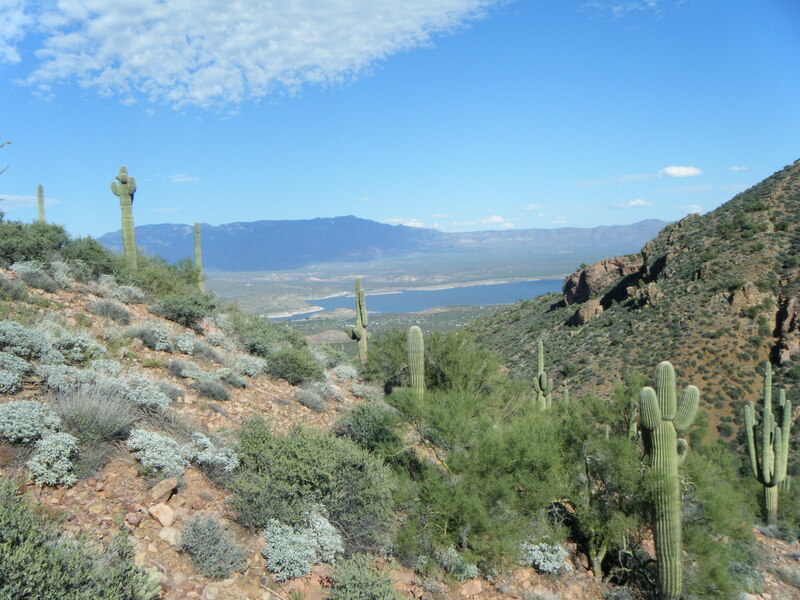 Along this part of the Apache Trail is the small Apache Lake, and the Roosevelt Lake Dam. 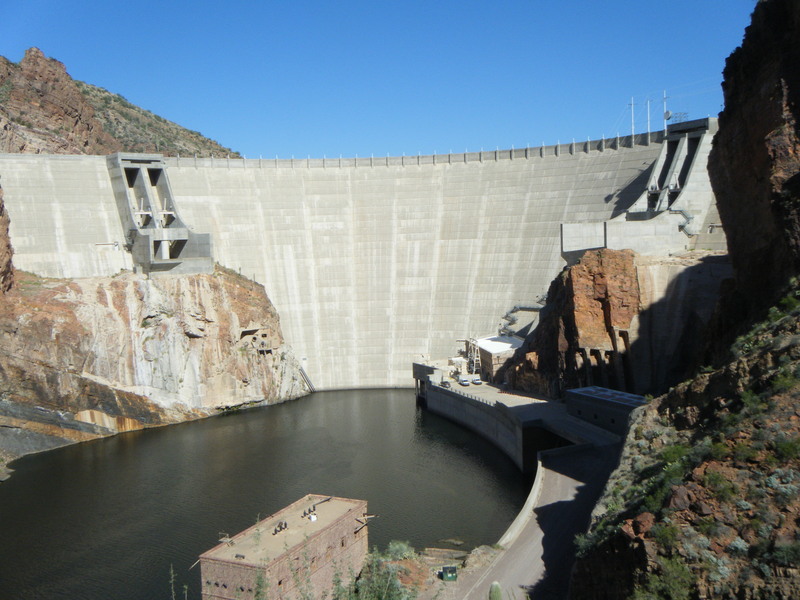 After stopping to view the dam, the road curves up one final hill, and at the top the largest lake in Arizona expands out to either horizon- Roosevelt Lake. For some reason, I was expecting there to be a sizeable town around Roosevelt Lake, but in the direction from Roosevalt Dam towards the Tonto National Monument all I saw were a few small settlements. One was a high-end gated community perched on the edge of the lake, some looked like a mix of large camp grounds and RV grounds, and about eight miles from the turn off by the dam was a small collection of low buildings including a gas station, and an all American restaurant called Boston’s Lake House Grill (that seemed surprisingly far from the lake for its name). From the lake to Tonto National Monument was a short drive up from the relatively flat desert surrounding Roosevelt up into a small box canyon. The visitor center here was under construction when I visited, so there wasn’t much there to see, and we immediately headed out onto the trail leading to the Lower Cliff Dwelling. This is the only trail accessible to visitors without a ranger or guide, it is a mile long (round-trip), and it is nicely paved and thus welcoming to most people, although it is steep. I got winded a few times on the way up, but it was a good excuse to stop and take in the scenery, which was always worth the pause. The plant communities surrounding the path up to the Lower Cliff Dwellings was amazingly rich, and was so lush that I almost felt like I was taking a stroll through Phoenix’s manicured Desert Botanical Gardens. All of the charismatic plants of the Sonoran Desert were represented in vibrant greens on either side of the trail, and any time spent at one of the trail’s benches would reveal a variety of bird, mammal, and reptile life as well. Of course, the crowning jewel of the trail and the national monument itself are the ruins. Unlike Montezuma’s castle, Tonto National Monument allows visitors to carefully climb inside of the ancient Salado ruins here. They are watched over by a volunteer, who dutifully reminds visitors to not lean or sit on the stone walls tucked into the mountain-side, and who is prepared to answer any questions that visitors may have about the people who once lived here, as well as the surrounding area. Inside the warm, stone and mortar walls of this ancient Native American village, it is easy to see what drew people to this place. The shallow cavern that the buildings were constructed in makes the place feel safe and protected. The walls are dark with the remains of fires from hundreds of years ago, but the closeness of those ancestral families doesn’t seem to have abandoned this place. Just over the remaining walls, or through the surviving doorways and windows, visitors can catch glimpses of the Salt River Valley and the lake, beckoning with its life giving waters, and the lush desert around it. In short, Tonto NP is a must-see for anyone interested in Arizona history, or in the ingenuity of our ancestors. 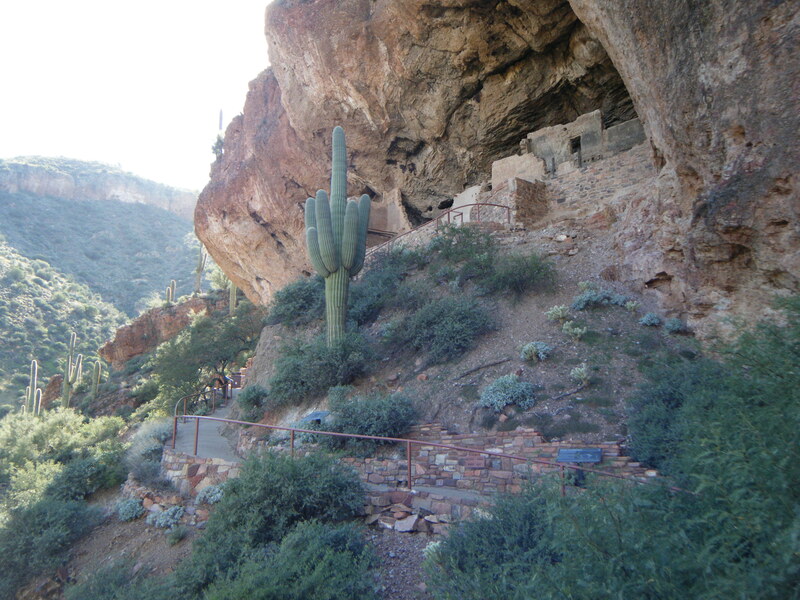 There is a second set of ruins in the park as well, but visitors must join a tour in order to see them, and the hike is more difficult than the trek to the Lower Cliff Dwellings. If what I saw was any indication, however, I think that the trip to the Upper Dwellings would certainly not disappoint anyone with the time and ability to make the journey further into the mountains. My next update will be on December 1st; about the Organ Pipe National Monument!